Happy Thanksgiving! 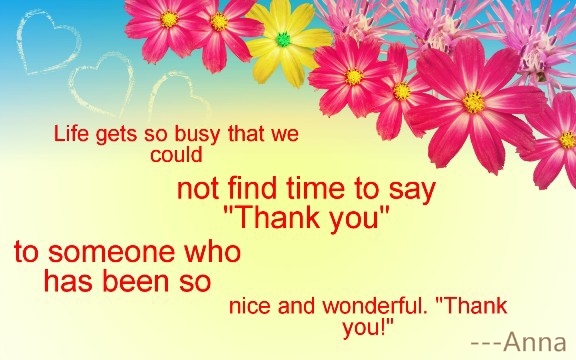 Thank you for your staying with me, supporting, and encouraging me. As it's Thanksgiving Day today, I won't talk about theory. This salad dish is made by blanched spinach and egg pancakes. Fresh and delicious. It helps to clear away heat and relieve constipation. 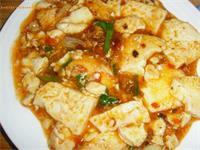 The features of Mapo tofu can be described by eight Chinese words: 麻(ma)、辣(la)、烫(tang)、香(xiang)、酥(su)、嫩(nen)、鲜(xian)、活(huo). Celery helps to remove heat in the liver while peanut protects the spleen and the stomach. 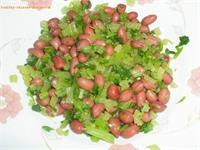 It's a good snack or side dish for those who are with hypertension (high blood pressure). Actually it fits all most all people. Below was a message I sent to a friend. It was my experience last month when I almost got a cold. When you just feel get cold, drinking Ginger Brown sugar tea and get enough rest tonight may help. Bake Chinese tangerine and eat if you cough. If you don't feel well tomorrow morning continue to drink ginger brown sugar tea. Buy a piece of Chinese green shallot in the farmer market and boil the white part in water or soup, drink. Steam garlic soup if you continue to cough. If you still don't feel well on the third day make chicken soup, drinking chicken soup and eat meat. If you are vegetarian continue to drink Ginger Brown Sugar Tea instead of chicken soup.